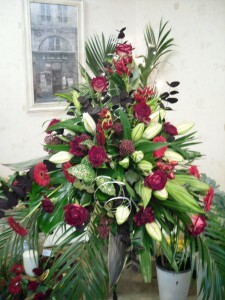 Just a quick shout out to say that if you live in or around ye old Durham town, there is a Christmas Open Evening next Thursday (17th) at The Florist Shop in Newton Hall from 4-6.30pm. Yes this is a plug for Moho's Flower Shop. Holly will be offering 10% off to all customers on the evening, and the offer is valid on all stock in her shop not just Christmas items. They have in stock bars of delicious novelty chocolate bars, created by hand from Laura’s Chocolates and you can guarantee it is unique as we are one of only 9 suppliers in the whole of England, brilliant as stocking fillers! Also come along to the shop and look at our DIY Christmas section with bits and bobs you can buy to make your own Christmas decorations and gifts. 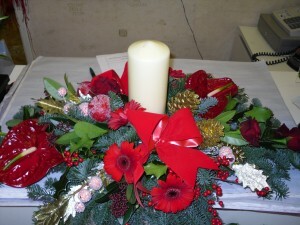 All christmas display pieces which Holly will be making fresh on the day will be on sale on the evening for 50% off. She will also be taking orders for holly wreths. I'll be around in the shop from about 5ish, so come and say hello. I'll try and pop up, the chocolate alone sounds worth it!